Philippines - Bagyong Glenda was already inside the Philippine area of responsibility (PAR) and reportedly taking its way into the affected parts of Central Luzon. LGU's announced already their suspensions of classes for tomorrow, Wednesday, July 16, 2014. PAGASA said, Bagyong Glenda was located at 270 kilometers east of Legazpi City, Albay as of 4 a.m.
GoodFilipino will keep updating this page from time to time once schedule is made. For more information about the Suspension of Classes Updates, kindly bookmark this page and share to your joined social networking sites. 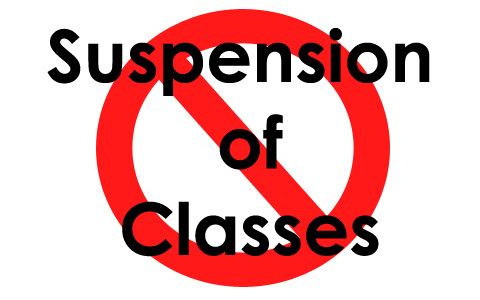 Comments or suggestions about "Class Suspensions Updates on July 16, 2014 Wednesday" is important to us, you may share it by using the comment box below.